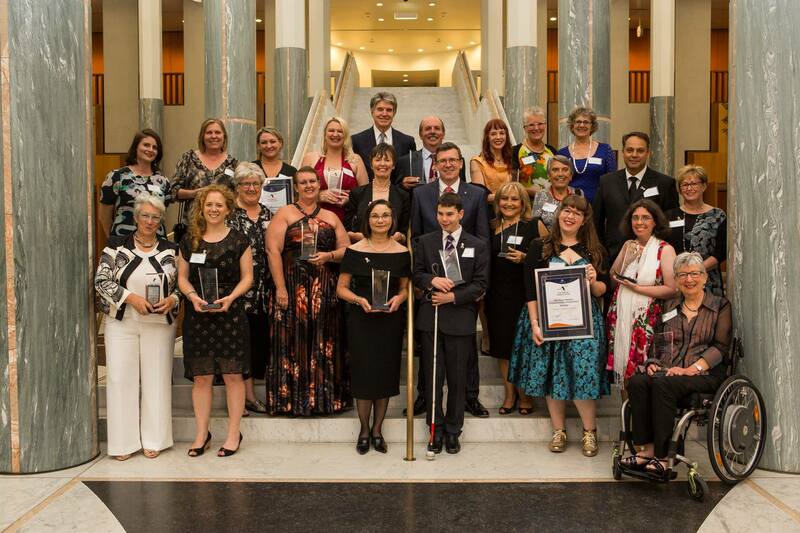 On Thursday December 3rd later this week, we are celebrating the International Day of Persons with Disabilities, and to have won a National disAbility Award last week is more than timely for people with dementia. This particular award means so much more than recognising what I do, and that is also not the reason I work so hard, for no pay! I advocate for people with dementia and the elderly, who are receiving less than optimum ‘care’, but especially for our human rights, and our rights as people living with disAbilities. Such an award properly places dementia into the disAbility space, where there is already legislation and other policy to support and protect our rights as human beings to more ethical care and support. There is no turning back for people with dementia to be recognised not only as people living with significant and progressive disabilities, but to our absolute right to the same support as any other persons living with disabilities. No longer will we accept being locked away, isolated, stigmatised, marginalised or discriminated against… and nor will we accept the current pathway of support, which tells us to go home and give up on living. The following is an editorial in The Lancet, The Global Burden of Diseases: living with disability highlighted to me by Professor Peter Mittler over night. Whilst I dislike being referred to as a ‘Global Burden’, I felt important to add it here as the award, which was for ALL people with dementia, publicly acknowledges dementia and disAbility together in the one space. The themes for this years International Day of Persons with Disabilities also well supports the dementia friendly communities initiatives to full inclusion in our society. “The UN observes the International Day of Persons with Disabilities on Dec 3, 2015.
including those with invisible disabilities in society and development. These themes echo the specific mention of persons with disabilities in five of the Sustainable Development Goals (SDGs): education; economic growth and employment; creation of inclusive, safe, resilient, and sustainable cities; reduction of inequalities; and data collection related to monitoring the SDGs. In today’s Lancet, the Global Burden of Disease (GBD) team provides a substantial contribution to baseline statistics, against which the progress of SDGs can be measured, for health and disability. Their report focuses on disability-adjusted life-years and healthy life expectancy for 306 diseases and injuries in 188 countries over a period spanning 1990 to 2013. The good news is that global life expectancies have improved by around 6·2 years, and healthy life expectancy has gained on average 5·4 years. Even so, as highlighted in an accompanying Comment by Peter Byass, a consistent trend emerges from these data, showing that, worldwide, about an eighth of life expectancy was associated with living with disability in 2013. Reductions in mortality mean that people are living longer, and an epidemiological shift in disease burden, from communicable to non-communicable diseases in a globally ageing population, has occurred. As a result of this transition, health system infrastructures must be adapted to address longer lives lived with disability.